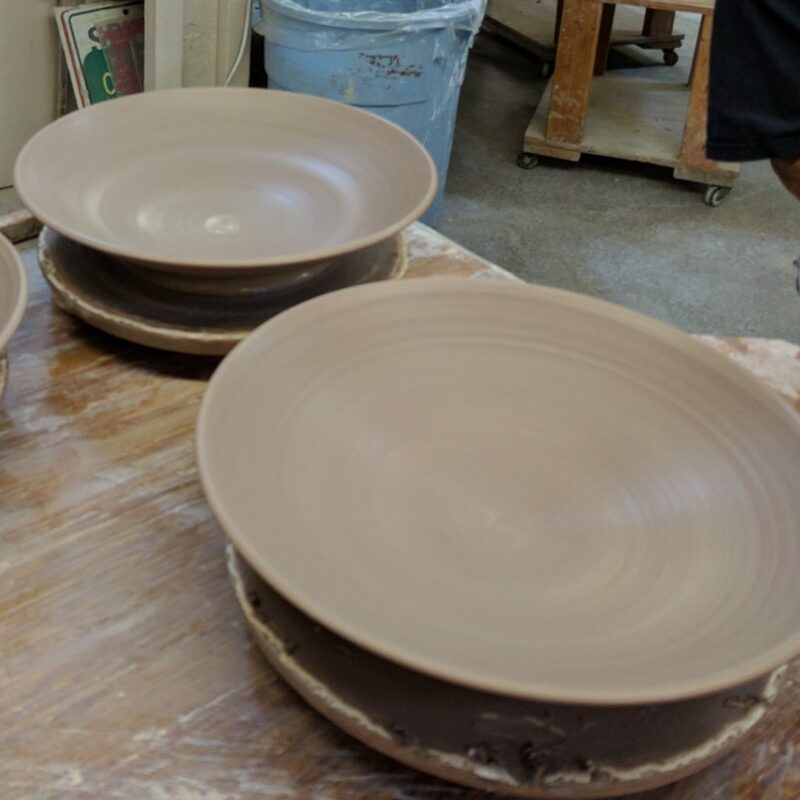 Our magic begins in the workshop, where the Wizards use more than 100,000 pounds of clay a year to carefully craft wares in the ancient pottery tradition. Skilled assistants help finish each piece with personal care and attention. Our workshop is open to the public and welcomes guests from around the world. Our most unique product is Bristoleaf® pottery, decorated with delicate imprints from real leaves picked daily during the summer in the surrounding hills. We produce a limited number of pieces each year, ensuring that this unique and collectable pottery will increase in value as the seasons pass. 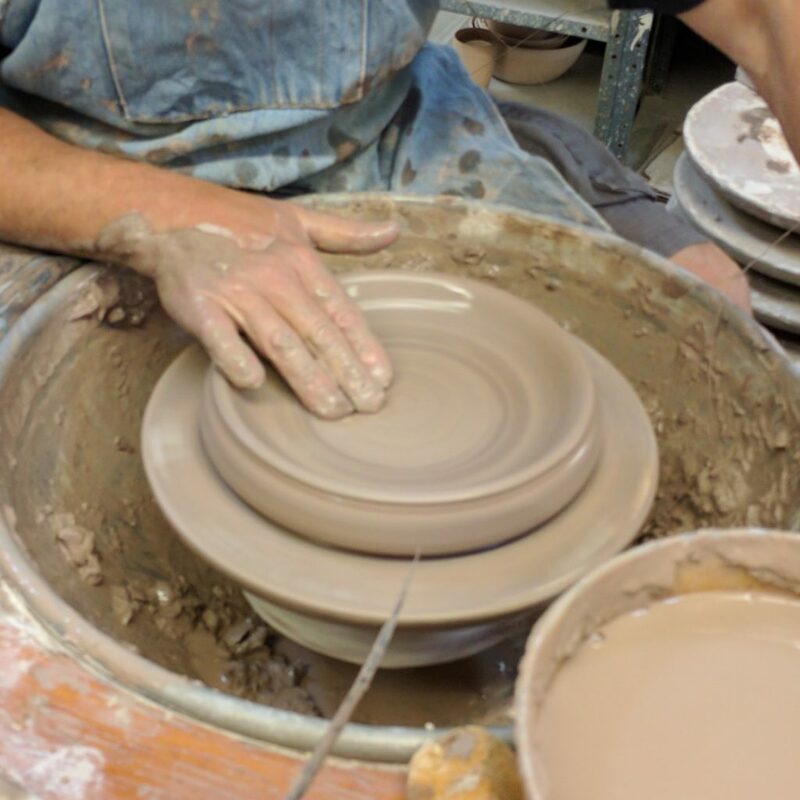 Step 1: Soft clay is centered on the spinning potters wheel and formed into functional shapes. Step 2: Excess clay is trimmed from the bottom of the pot while the clay is still soft. 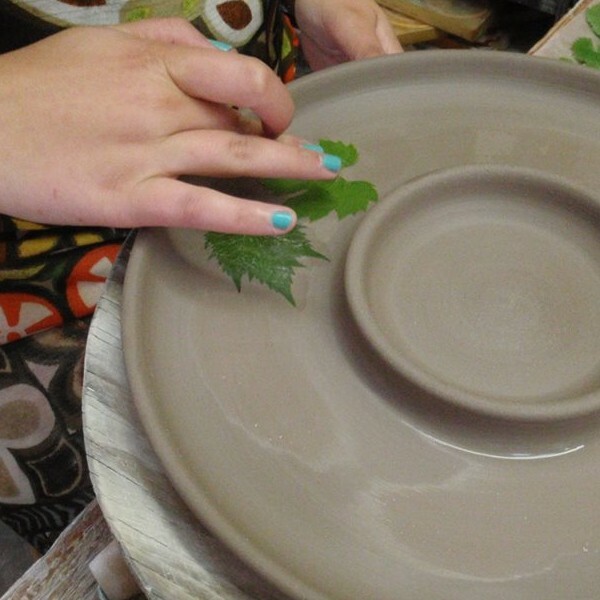 Step 3: Real leaves are pressed onto the soft clay pot to produce the design. When the piece has completely dried we fire it in the kiln and the leaves burn off, leaving beautifully fossilized imprints. 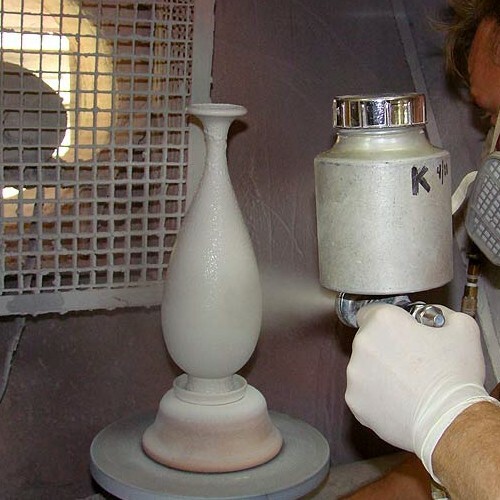 Step 4: Glaze is applied by pouring, dipping, and even spraying. 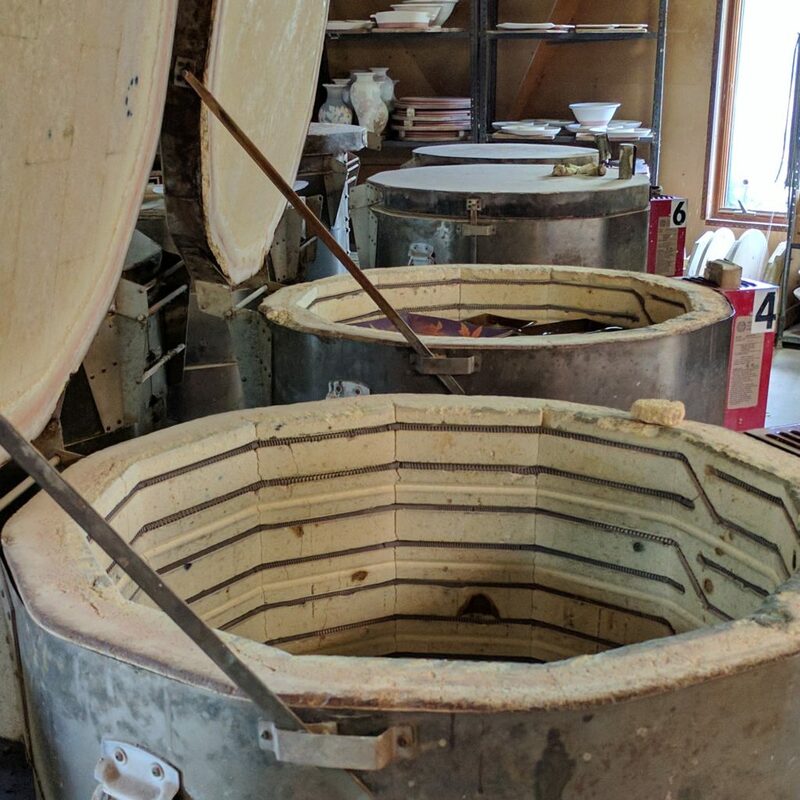 Step 5: Pieces are fired in our kilns to produce the final finish. We invite you to visit our production facilities where you can witness the traditional pottery-making process first-hand. 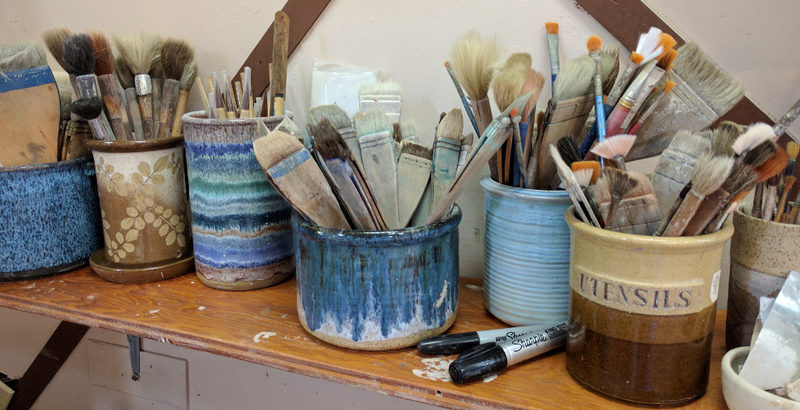 In most cases you can meet the potters and talk to them personally as they work.